Newquay Harbour is the perfect spot for whiling away a few hours in the sun. Whilst Punch & Judy keep the children entertained, Mum and Dad soak up the spectacular scenery that surrounds the Cornish coast. 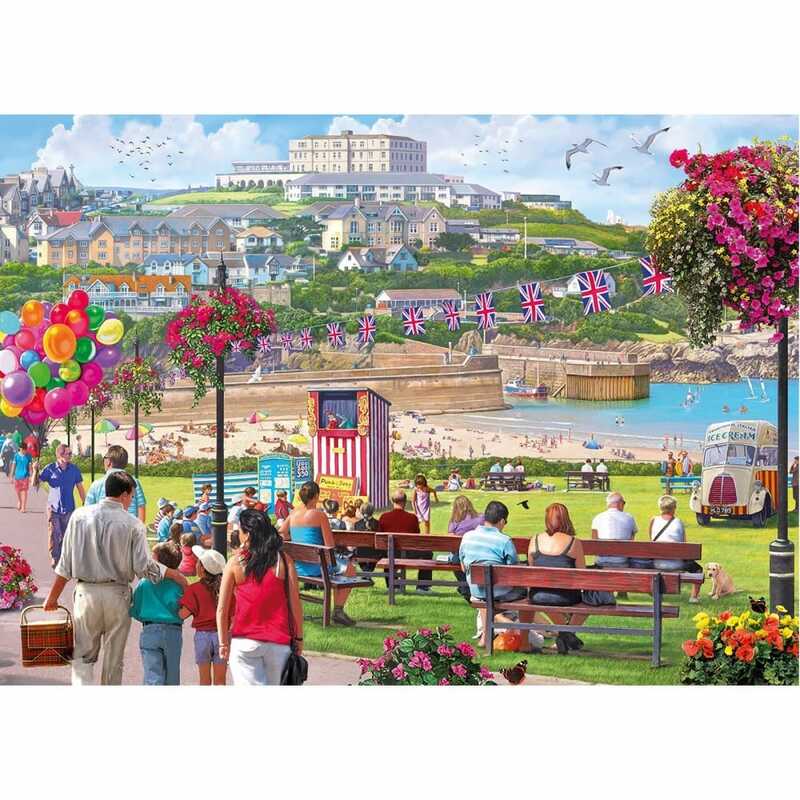 Painted by the talented Steve Crisp, this 1000 piece puzzle will transport you from your living room to a sunny summer's day in south west England!